As expected, the device runs $99 with new 2-year contract. In not-so-expected news, the full retail price is listed as $526, which is higher than the $499 price that Motorola gave us during the phone’s unveiling. Keep in mind that Motorola should have Moto Maker options available tomorrow, meaning you will be able to customize the new Moto X to your liking. 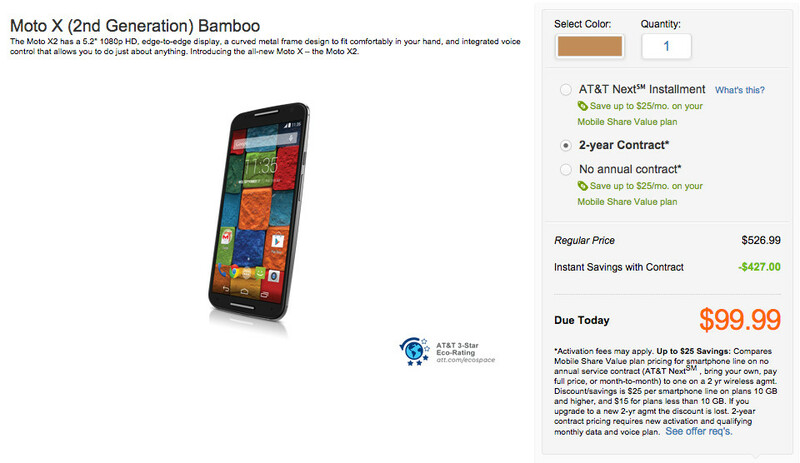 If you order from AT&T, you are getting a pre-made device in the three colors mentioned above.